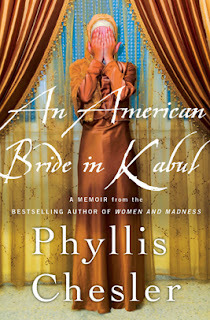 "An American Bride in Afghanistan" documenting Phyliss Chesler's five month captivity in Afghanistan, some fifty years ago, as an 18 year old Jewish bride of an older Afghan man, is a subject that interests many in the western world. I got this book as a gift from a dear friend, and, having read the book, I wonder what made him select this book for me; was it the writer, the subject, or was it the setting? In this memoir, Ms. Chessler does a great job of recounting her harrowing experience as a young foreigner bride with romantic notions of inter-cultural harmony. Admittedly, the narrative, though personal, is diagnostic in nature and holds no bias toward or against any character presented. For instance, Chesler's portrayal of her husband is an empathetic one as is her depiction of Bebegul, her abused and abusive mother-in-law. Ms. Chesler dispassionately presents these individuals as doing some violent and very unreasonable actions, and, as a writer, almost rationalizes them by providing a vivid sociocultural context that nourishes these behaviors. Phyllis Chesler relates each experience without any venom, and with surgical precision she peels one layer after another of her travails in Kabul to explain that romantic leap of faith she took she took fifty years ago. Much of the memoir revolves around a deep sense of betrayal the author felt after she left the USA for Afghanistan. She appears to debate upon which betrayal was greater: the personal one that was meted out to her by the man she fell so madly in love with and who she believed loved her just as much, or the cultural one where her romantic notion of moving seamlessly between two cultures was shattered after she landed in Kabul. Meanwhile, to the reader the betrayal is but imminent, given the extreme naivete of the young Phyllis. Even though the reader accompanies Phyllis on her harrowing journey, for the most part the reader is wondering how Phyllis could have been so unaware of the cultural challenge she was walking into. What was she thinking? Phyllis Chessler claims that this memoir would raise awareness of the oppressive conditions in which women live in many Islamic countries. However, this memoir tries to touch upon other controversial issues as well, such as 'honor killings', 'harems', 'marital rapes', 'underage marriages', 'boy toys' etc. I deliberately use the phrase 'touch upon' because that is exactly how it is in this book. Ms. Chesler attempts to weave in several such didactic asides that prove to be annoying and mostly unnecessary. 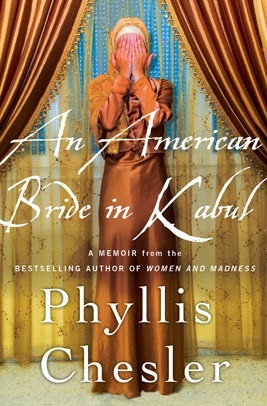 "An American Bride in Kabul" is yet another piece of writing that hopes to ride the wave of Islamophobia. Alas, it fails to ride!